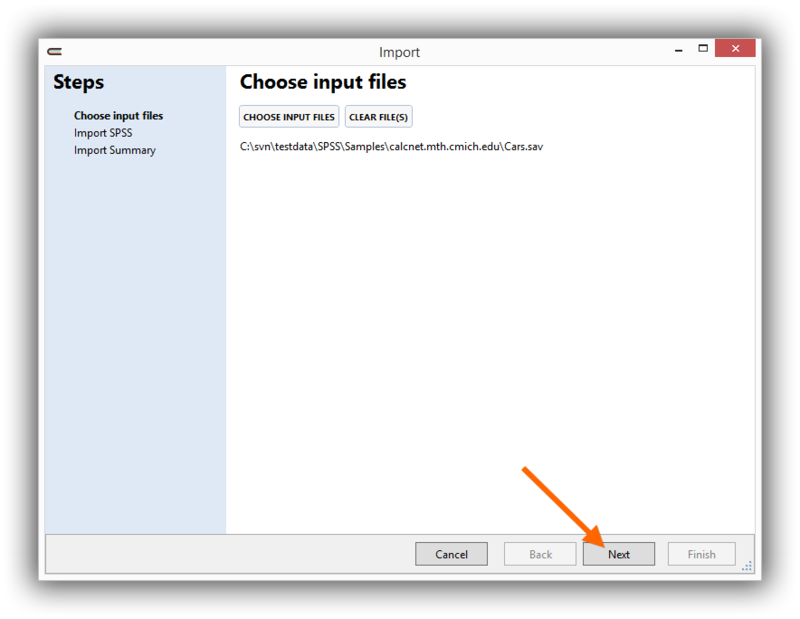 You can import an SPSS and Stata files using the Import Wizard. From the Import tab of the ribbon, click the button corresponding to the format you would like to import. The import wizard will open. Click the Choose input files button to select your data file. 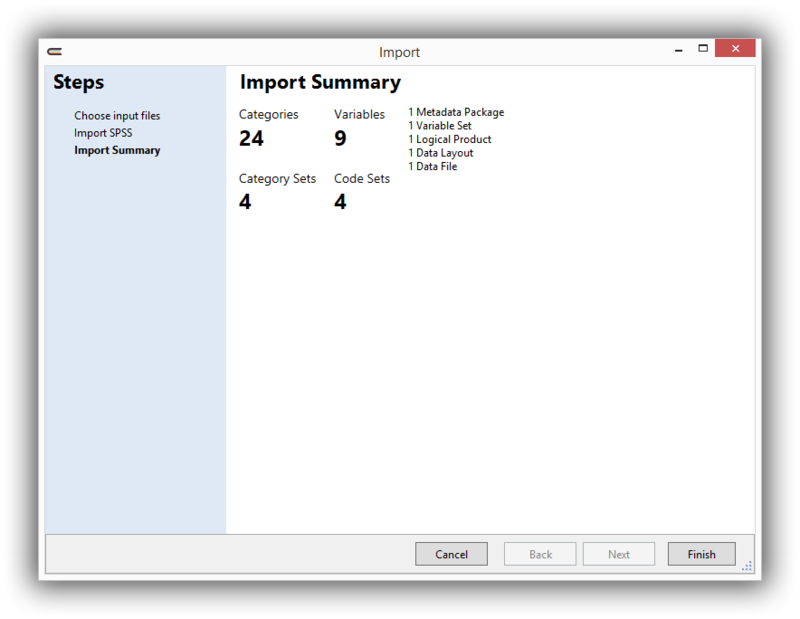 Colectica will read your files and show you a summary of the imported contents. Colectica will import your data. Depending on the size of your data file, this may take a few minutes. 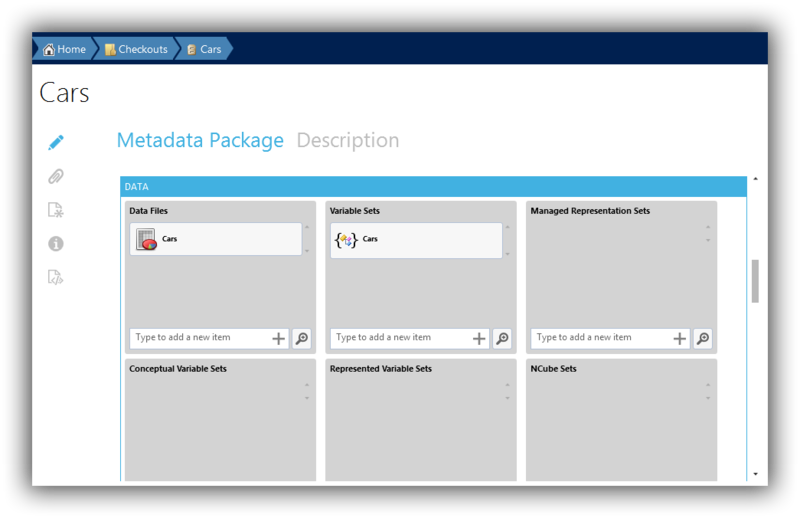 A metadata package with your imported information will be opened. SPSS is a product of IBM. Stata is a product of StataCorp. Excel is a product of Microsoft.